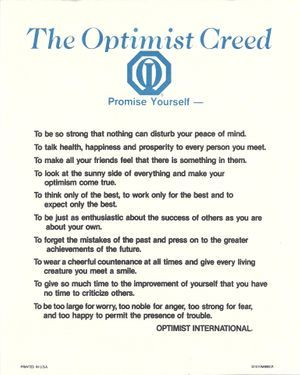 Our mission at the Optimist Club is help cultivate a new generation of youths, by encouraging them, teaching them, empowering them, so they can lead their generation to be successful members of their communities. We strongly believe that through volunteerism, civic awareness and duty that individuals can bring about change and improvements in their immediate areas. Our motto, A Friend of Youth, is our approach to reaching out to the youths of our community by providing scholarships, essay and oratorical contests, activities, and organized projects to get youths involved in the Beaverton community.